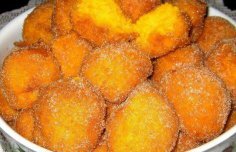 This Azores style recipe for Portuguese donuts (malassadas) from D. Leonor Santos is incredible. First, make the yeast by mixing everything together and set aside. Next, heat the milk and butter in a pan until the butter melts. In a large bowl, put the eggs, salt, lemon extract and sugar and beat with an electric mixer for 2 minutes. Then, add the milk, butter and mix for half a minute. Add the yeast, the flour, mix with your hands and knead. Fold the dough over after 20 minutes and wait until it doubles in size. In a deep fryer, heat the oil, take one piece of the dough at a time, stretch it out and fry it until golden brown. Once fried, dust it with sugar. 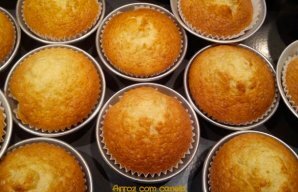 Delicious Portuguese yogurt cupcakes (queques de iogurte) for you to enjoy and share. 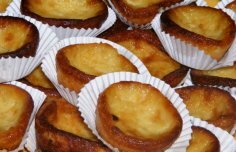 How to make Portuguese carrot dreams (Sonhos de Cenoura).